While the majority of the guys I hang out with love a good beer or whiskey, there are definitely times that wine is the drink of choice! 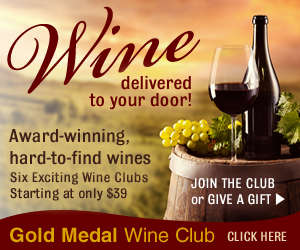 DMD Lifestyle has partnered with Gold Medal Wine Club, the best wine club on the planet. Period. When you subscribe to one of their club memberships, you get to enjoy small-production, award-winning wines delivered right to your door! Use our affiliate link below (so the editors of the site can buy milk for the babies and wine for mommy and daddy) to order your award-winning wine!